We introduced Sanke last month. Now introducing: Tancho. Tanchos are non-metallic, white koi. 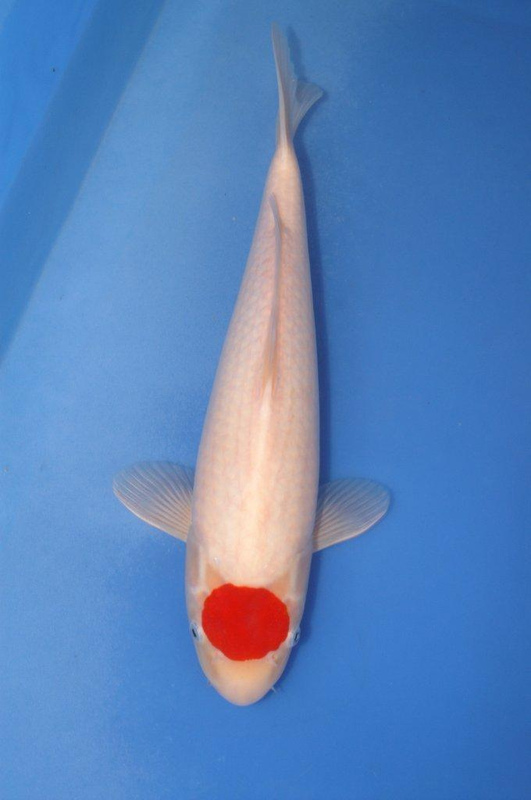 The Hi (red) marking on the head is what distinguishes this gorgeous fish. The Hi needs to be round and cover the majority of the space between the eyes and nose. The marking should be sharp and a deep red. The other white areas must be free of imperfections and markings. Do you have a Sanke, Showa, Kohaku, or Tancho in your pond? Email us a picture and introduce us to your favorite Koi!